The demand for Cathode Ray Tube or CRT Monitors have been falling rapidly due to the technological advances of flat screen lcd monitors, plasma, lcd and led televisions. As they become redundant, companies need to find a solution for CRT monitor recycling. Shabbir trader e-waste recycler offers a cost effective and compliant CRT monitor recycling and television recycling service. Collections of CRT monitors are made from businesses of all sizes and industry sectors across India and then recycled to material level. Advanced recycling machinery is utilised to attain a very high recycling rate of the CRT monitor for material reuse in manufacturing. Shabbir trader e-waste recycler observes strict adherence to the Hazardous Waste Regulations with our CRT Monitor recycling service as they are classed as hazardous waste. 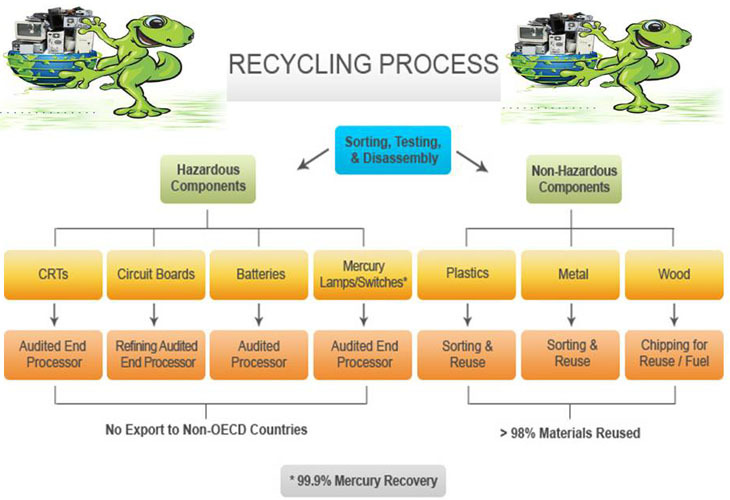 From hazardous waste premises registration to providing the correct hazardous paperwork, you can rely on Shabbir trader e-waste recycler and its strict procedures to ensure recycling of CRT Monitors and televisions acording to the guidelines. Shabbir trader e-waste recycler also offers businesses a TFT monitor recycling solution for LCD & TFT monitor and televisions. As with CRTs and televisions, flat screens are also classed as hazardous waste and require specialist recycling due to the potentially harmful components contained within. We consign all flat screen monitors as hazardous waste and you receive the hazardous waste paperwork . Copyrights © 2011. Shabbir Traders. All rights reserved.